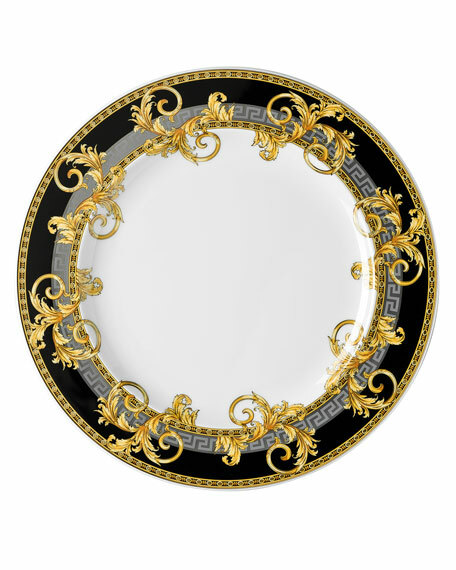 Porcelain service plate. 13"Dia. Dishwasher safe. Imported.